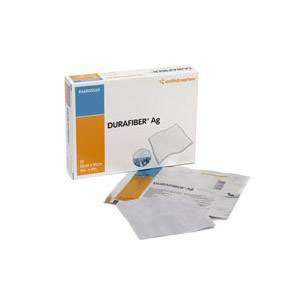 Durafiber® Ag Dressing 4" x 4-3/4" Gelling Fiber, absorbent, non-woven, latex-free, sterile, silver containing antimicrobial dressing composed of cellulose ethyl sulphonate fibers. The ionic silver in the dressing provides ntimicrobial activity against a broad spectrum of common wound pathogens which may help to reduce bacterial bioburden and the risk of infection. Low risk of fiber shed and dressing residue. High wet strength: Cellulose fibers give the dry and gelled matrix built-in structural integrity. 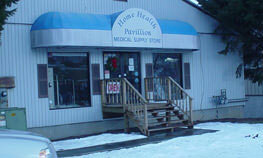 Excellent absorbency: Gelling fibers swell and gel on contact with exudate absorbing and locking in fluid. Highly conformable: Transforms into a soft, cohesive gel sheet which contours closely to the wound bed.